Description: Be nimble....Be quick! Adorable one owner dollhouse! Beautiful granite counters, tile backsplash & center island! Smooth top stove! Lush landscaping w/covered front & rear porchs! 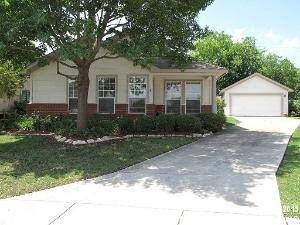 Large master w/view of pretty backyard! Huge utility room plus walk in pantry! Rounded corners! New roof to be installed may 2013! Quiet culdesac in rear of subdivision with little traffic! Near neighborhood pool! Great schools! Fabulous north central location! Sellers moving to retirement home....Better hurry! Wont last! Great San Antonio Homes all share this address.